SSMPropEditor 6.1 is now available. 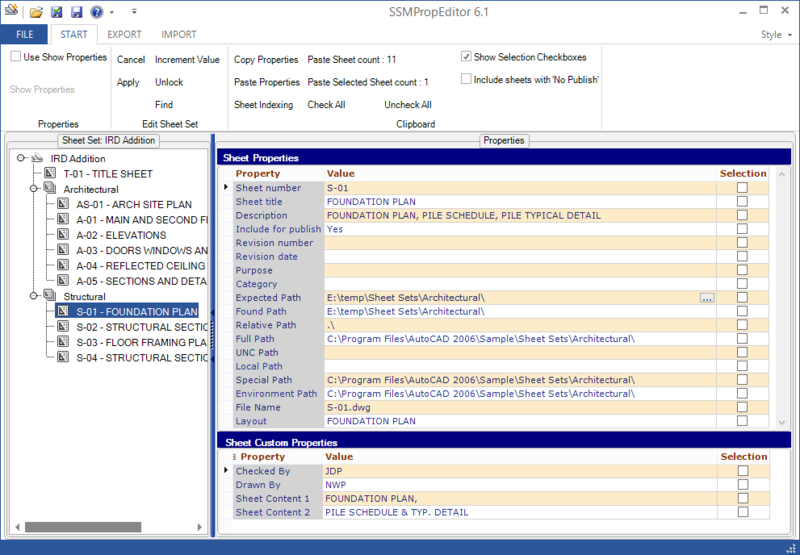 This Sheet Set Manager Editor can save hours of work if your company uses AutoCAD’s Sheet Set Manager. Use Find and Replace of text among all properties and all sheets or change properties on multiple sheets at the same time. If you want to make changes in Excel, that can be done too. Copy custom properties that are defined in one Sheet Set into another Sheet Set. All you need to speed up your work with the Sheet Set Manager.